The defining chapter of The Hobbit has arrived. Thanks to the usual buzz of the San Diego Comic-Con we have now the official first trailer of The Hobbit: The Battle of the Five Armies. And it doesn't end there as a new poster has also surfaced online, featuring our titular Hobbit, Bilbo Baggins. Director Peter Jackson offers us the final serving of his yet another fantastical fantasy adventure based on the book by J. R. R. Tolkien. Will this be the last Middle-earth full-length feature film we are to see in this generation, or is the team gearing up for a more epic story -- the Silmarillion, perhaps? Watch the new trailer of The Hobbit: The Battle of the Five Armies. 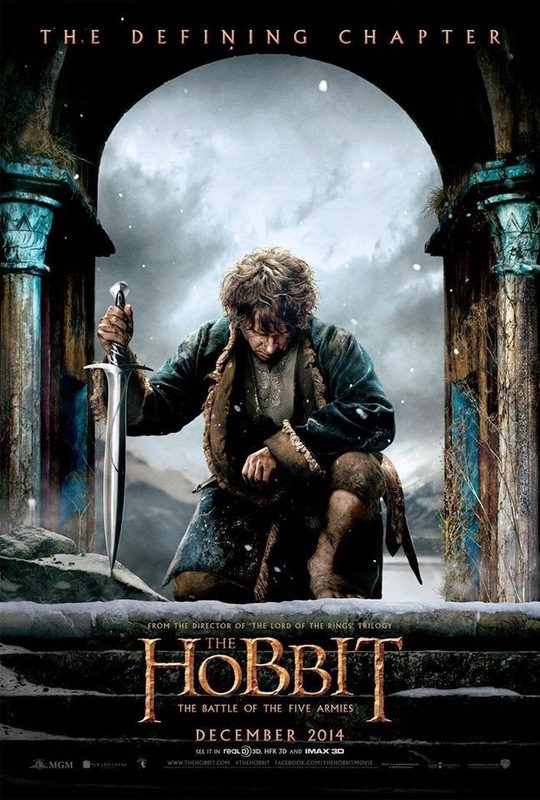 And don't miss this wonderful poster, featuring a kneeling Bilbo Baggins. The Hobbit: The Battle of the Five Armies will soar to theaters on December 17, 2014.